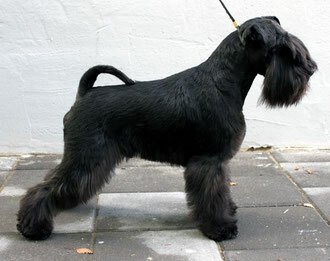 In black miniature schnauzers both titles got Raven's Tot dogs! 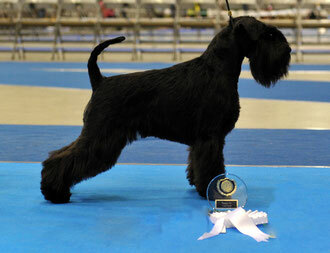 Raven's Tot Fill The Bill (Kosti) is Top Winning Black Male second year in a row. Last year he got titles Finnish and International Champion and won BIS on our Main Specialty Show! LAWLESS PAUL, KIRSI KENTALA, REIJO LATVALA, PETER SCHÖN and ROBERT BLACK! And thank you Eija for all your care and love! Raven's Tot Feel The Rhythm (Milla) last year got 7 CACIB, titles Finnish and Lithuanian champion and Finnish Winner 2011! PUTKONEN JUHA, LAWLESS PALL, COCHETTI FRANCESCO, FRISK SVANTE, SCHÖN PETER и ROBERT BLACK. And thank you Sari for taking so good care of Milla!